This week is a perfect combination of well planed winter activities and enough time to discover Swedish Lapland on your own. Including accommodation, rental car, snowshoe walk, dog sledding and snowmobile tour. This week is a perfect combination of well planned winter activities and enough time to discover Swedish Lapland on your own. We included three guided tours, which will give you a taste of the different winter activities that are part of the local lifestyle. During this week you get to experience the thrill of dog sledding, snowmobiling and to enjoy the serenity of the wilderness on snowshoes. 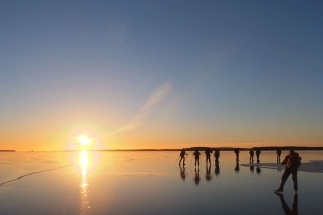 Beside the planned activities there will be enough time to enjoy Luleå on your own. The entrance to the ice track where Olympic speedskater Kjeld Nuis set a new world record as fastest man on ice 93 km/h is on about 10 minutes car drive from your accommodation. The track is about 10 km long and except iceskating its very suitable for making a walk and absorb the winter scenery. In the evenings its possible to join a northern lights tour you will be taken off the beaten track and chase together with an experienced guide one of the most mysterious and profound phenomena the world has to offer. 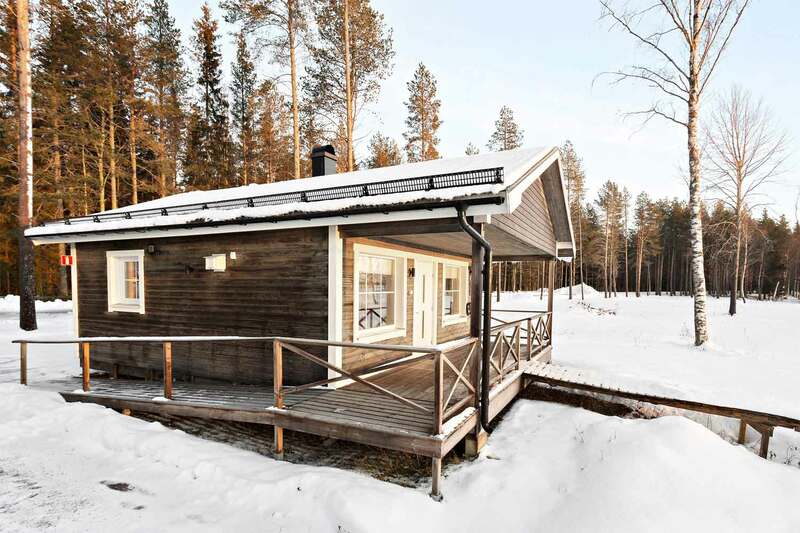 You will stay in modern bungalows, close to the Luleå river and a short distance (9km) from the city centre and a shopping mall within 10 minutes drive. On the waterfront there is a traditional wood burning sauna to warm up and relax after being a day outdoors. This locations is ideal located to see the northern lights in the dark polar nights. Arrival at Luleå airport according your flight schedule. You will be welcomed by our local guide, who will assist you with getting your rental car at the airport. When walking outside the airport you enter a winter wonder land, fresh air, minus temperatures and a snow covered landscape. 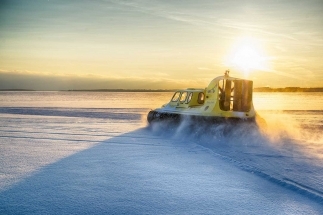 On the short drive (10 km) to your accommodation near the the city centre, you already get a good impression from the frozen Luleå river, this will be your winter playground for the upcoming week! 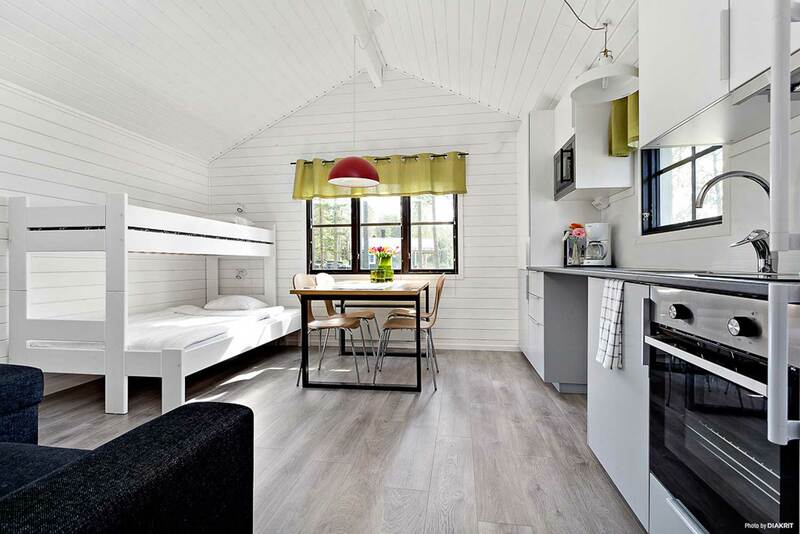 Check in at your comfortable cabin at First Camp and when you are lucky, maybe in the evening the magical Northern lights appear at sky in the dark polar night. Optional for the evening is to relax in the newly renovated wood burning sauna down by the river. The sauna needs to be booked in advance. Are you interested in skiing? 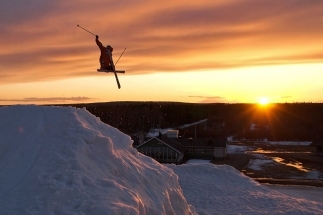 The surrounding of Luleå offers many skiing centres. They are family orientated with good ground based activities and clubhouses with hot food and drinks available. If you don’t have your own equipment, there are opportunities to rent at the location. The slopes in this region will give you good fun skiing as an activity for several hours. In Luleå you can also find very well maintained Cross Country Skiing tracks. Over the years this type of skiing has moved from being a means of transportation, to pure, social fun. It is a clean, easy and wonderful way to be outdoors. 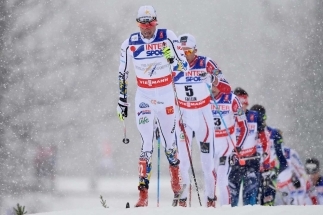 Are you interested, or do you want to follow a lesson Cross Country Skiing ? We gladly provide you more information about these activities. All resorts have winter lighting so you can continue skiing in the evening. 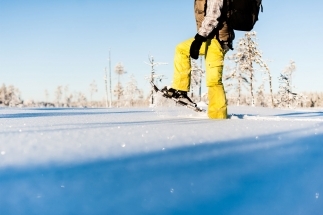 Today you will experience one of the best activities possible in Swedish Lapland. After a short drive you will arrive at the Husky farm, where you will hear, meet and greet the eager Huskies. These dogs are intelligent, good-natured and born to run! 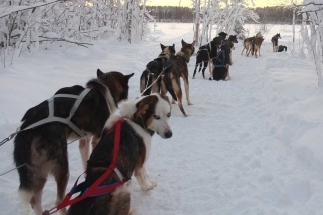 Nature doesn’t get much closer than dog sledding through snow covered forest and over frozen rivers. After the safety instructions you are allowed to drive your own sledge. During the tour, you will be able to switch drivers and take photographs of the magical surrounding. Warm winter overall will be provided before the start of the tour. Return at your accommodation around 13:00. For the midday no activities are planned. 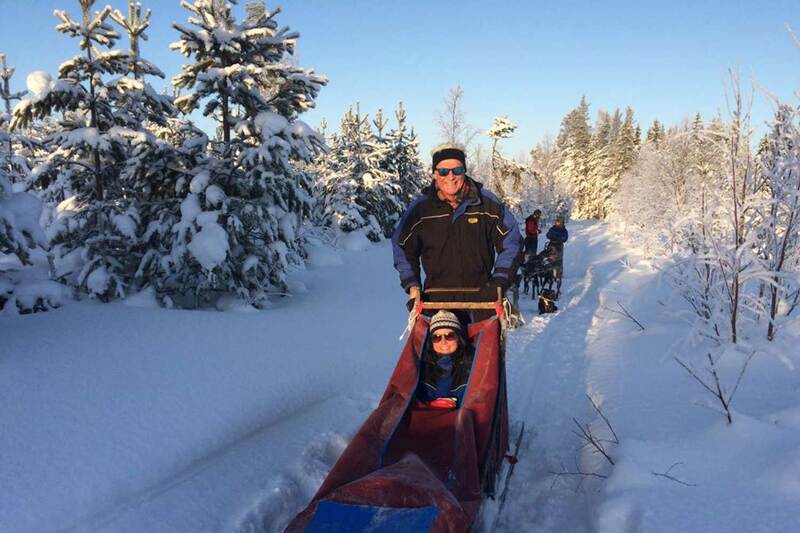 Time to relax and spend some free time today on your Swedish Lapland Winter Week holiday. You can bring a visit to the UNESCO World Heritage Site Gammelstad the best preserved church town from Sweden. Walk through the labyrinth of narrow streets in between the more than 400 old charming and red coloured cottages. Most of the church town is still in the same style as a few hundred years ago. 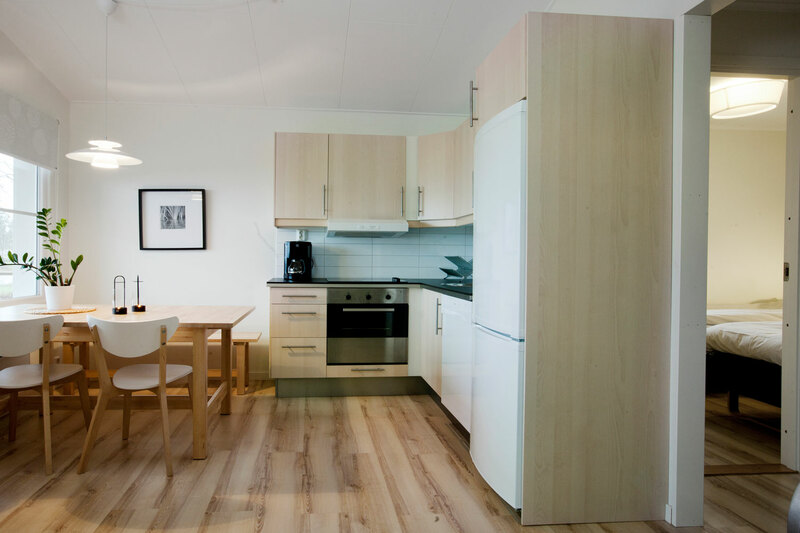 Gammelstad is good to reach with public transport from the Luleå city centre. Are you curious to know what more activities are possible? Check out all activities on our website. Today, after breakfast you will go together with an experienced guide on a snowshoe tour into the near by nature reserves of Luleå. Walking on snowshoes is an unique way to get close to nature. There are a variety of trails to suit all ages and abilities. No experience is required and we supply all the gear you need for a safe and comfortable trip. If you can walk you can snowshoe – it’s that easy! During the tour your guide will tell you about the unique local nature, and hot beverages will be served during the tour. Return at your accommodation around 13:00. For the midday are no activities planned. A free day to explore Swedish Lapland. If you want to learn more about the Sámi culture, then we recommend to make a day trip to Jokkmokk (170km). 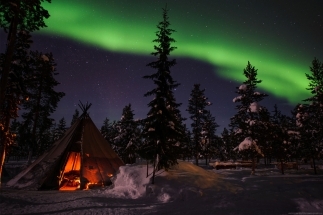 Jokkmokk is a natural meeting place for Sámi people and a centre for Sámi culture for more than 400 years. Here you can bring a visit to one of the local craft shops with unique handicrafts of silver, forging, tin and all kind of reindeer products. Or learn more about the Sami culture in the Ájtte Museum. Just before you arrive at Jokkmokk you pass the Arctic Circle. This marks the southern limit of the area which, for one day or more each year, the Sun does not set (about June 21) or rise (about December 21). The length of continuous day or night increases northward from one day on the Arctic Circle to six months at the North Pole. 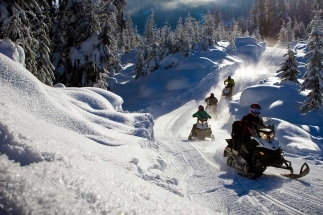 After breakfast, you can look forward to the snowmobile adventure of a lifetime. This activity starts just from a 20 minutes drive from your accommodation. Winter overall, boots, gloves, and helmet will be provided and before the start your guide will give safety instructions. 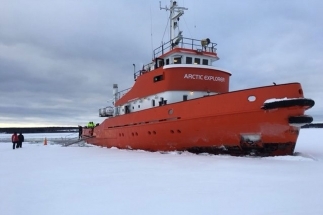 On this 2 hour tour, you will ride through snow covered forests and over the frozen sea in the archipelago. Along the way a stop is made for hot beverages, here the guide will tell you about the surroundings and about life in the Northern Wilderness. 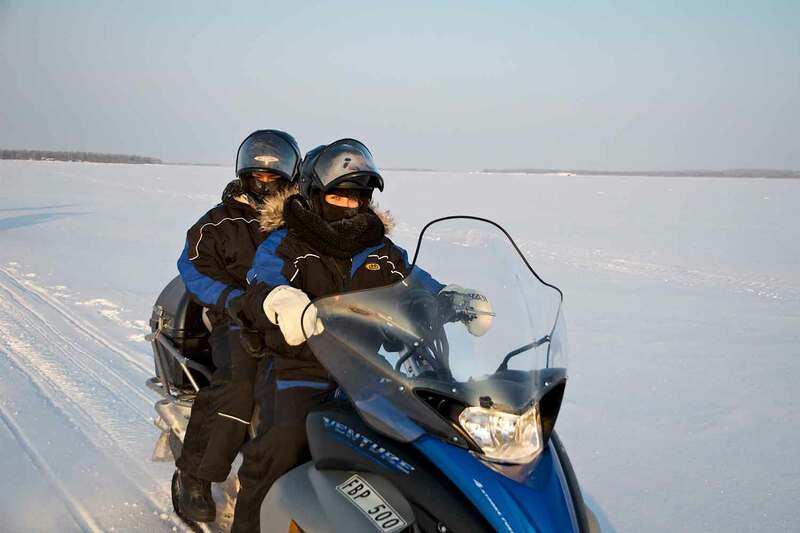 Experience the perfect mix of easy riding through the beautiful winter scenery of Swedish Lapland. Return at your accommodation around 13:00. For the midday no activities are planned. After the breakfast, it’s time to check out and start driving to Luleå Airport. Return your rental car at the airport prior to your return flight. The itinerary is a guide for you. We can customize this further, based on your interests. If you would like to make any changes to your itinerary, just let us know and we will work with you to tailor the holiday to match your requirements. 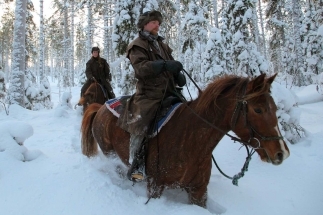 You have selected 'Swedish Lapland Winter Holiday'. To continue your booking, choose your arrival date.